I find sewing coats very relaxing. Every step requires concentration, so I slow down enough to really enjoy the process. My big love outgrew her winter coat and needed a new one. 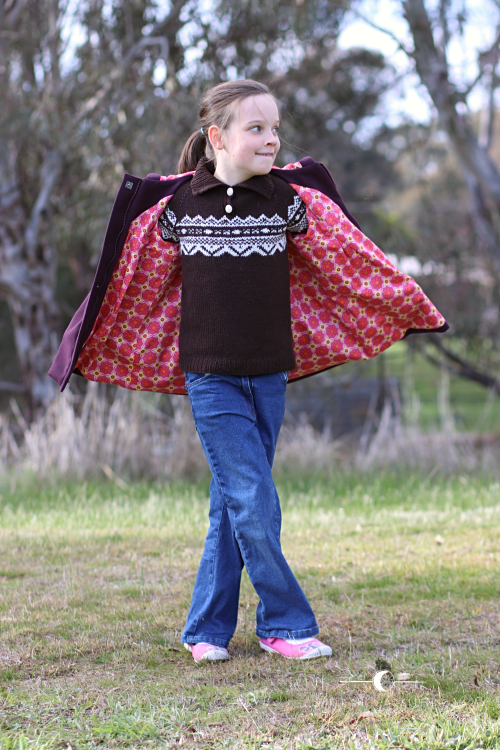 Most of the coat patterns I have go up to size 6, which is now too small for her. 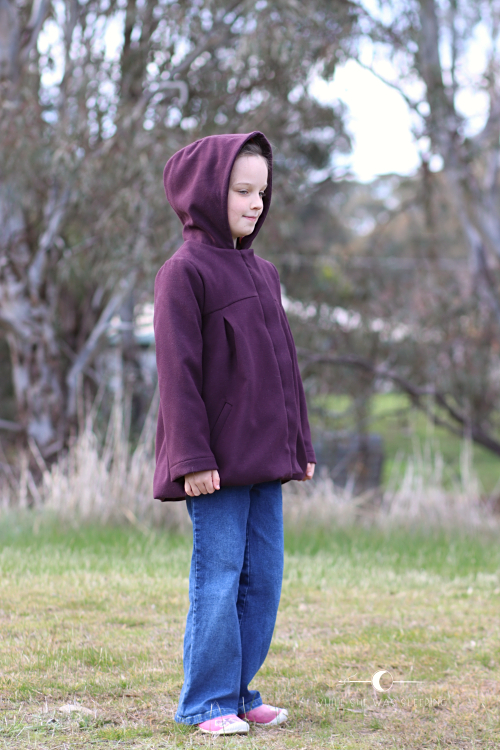 The Moiano coat pattern from StraightGrain, however, goes up to size 12. 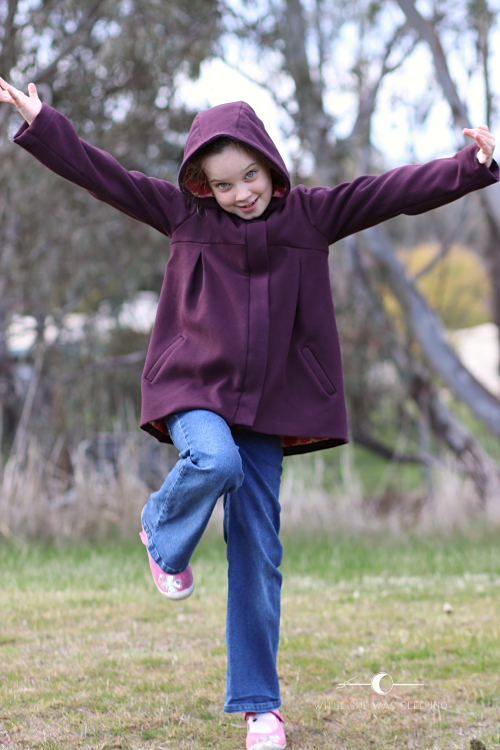 The Moiano is designed as a lightweight coat, something my European friends would sew for their kids for warmer months. Ironically, it is perfect for our winters! Our winters are relatively mild (please remind me I said this next time I complain about how freezing it is haha). I think sewing this pattern with heavier weight fabric does the trick. I wasn't convinced gathered sleeves would work well with thicker fabric though, so I used regular sleeve pieces An offers on her blog instead. 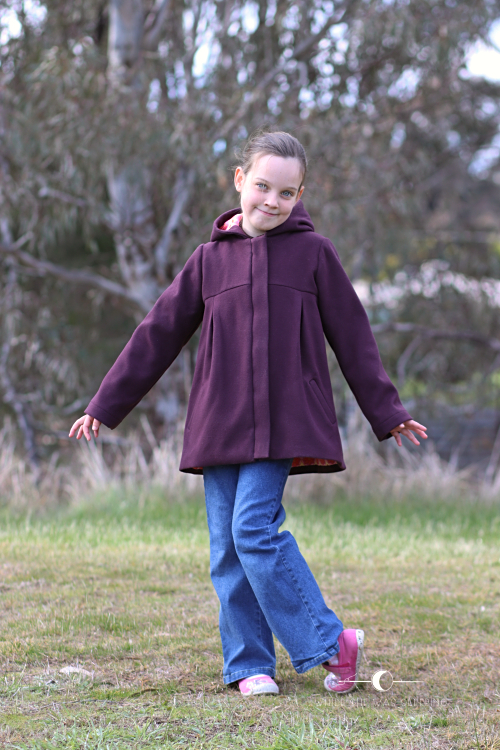 I wanted Miss R to get a couple of years out of her new coat so went for a larger size that she currently measures for. This coat is size 8 chest with size 9 length. I placed the pockets according to the size 9 markings. 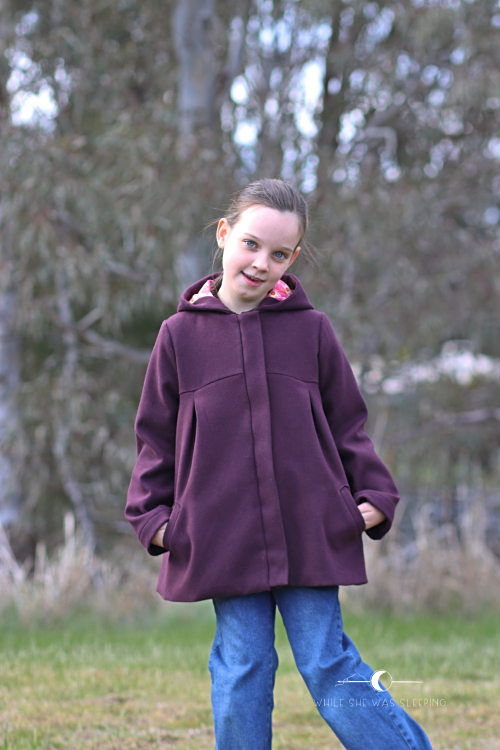 I was hoping to make a bright coloured coat for Miss R. This dark purple wool/poly blend was the only non-grey or black option at my local Spotlight. Beggars can't be choosers I thought and bought some. Miss R chose fabric for the lining from my stash. It is cotton sateen, it is very soft and feels a little more slippery than regular cottons, which is a good thing when it comes to a coat lining! Besides, it offers such a welcome pop of bright colours! This was not the first time I used the Moiano pattern. 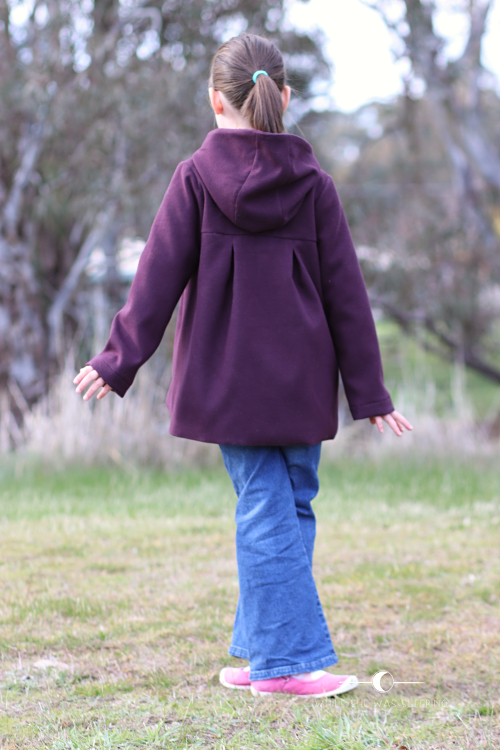 A couple of years ago I made a raincoat for Miss R. Back then I opted for a button closure. This time I decided to go for a zipper thinking this would provide a better protection from the wind. 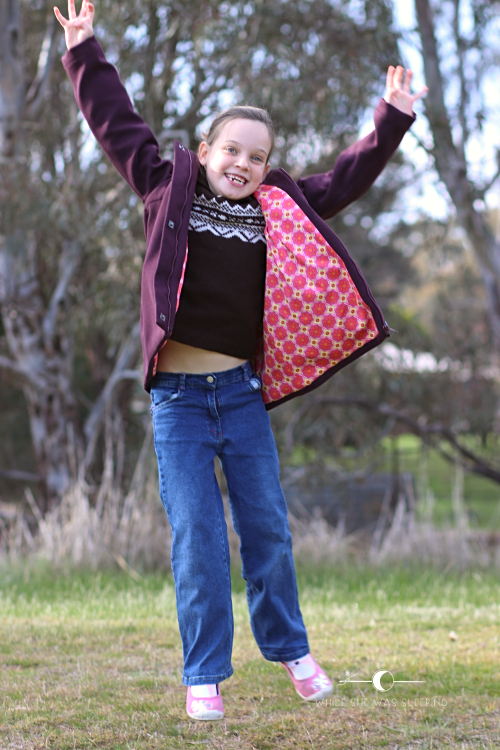 If you choose to use a zipper closure with heavier weight fabrics be prepared to grade your seam allowance! I used press studs instead of suggested velcro for the zip guard, the type you sew on by hand. I had a very traumatic experience with the press studs you hammer in, I start sweating just thinking about it! I discovered my iron on interfacing didn't want to fuse with this fabric, so I used small scraps of lining fabric to reinforce the press studs instead. Sewing a zipper on a coat was a fun challenge, but looking at the finished coat I realise I really miss a fun touch the buttons add to a garment. That, and my big girlie decided she doesn't like zippers. She just uses the press studs and off she goes. So much for a better protection from the wind, hey! Fabric: wool/poly blend from Spotlight for the outer coat, cotton sateen also originally from Spotlight for the lining. Size: 8 chest, 9 length. I used the markings for size 9 to place the pockets. 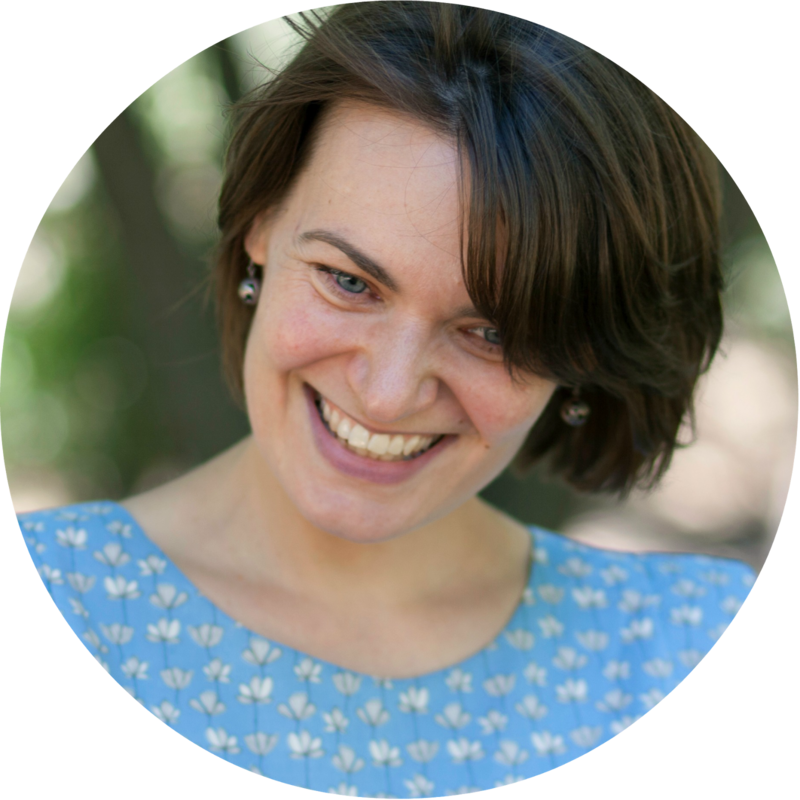 This is so lovely, Jenya! I really like the dark purple and it does look great with the colourful lining. The zipper looks very professional too.